Lee Dae-Ho’s Japan Series performance shouldn’t have been a major shocker to anyone. Lee is one of the Fukuoka Softbank Hawks’ big guns and hit 31 home runs during the regular season and fell just two RBIs shy of 100. Moreover, the Hawks have more than one big star, and there was a good chance at least one would get hot during the Japan Series, which Lee did on his way to being named series MVP. 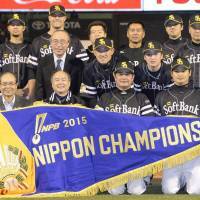 The real eye-opener, and perhaps the driving force behind the club’s romp to a second straight Japan Series title, was the way the “other” guys on the roster played. As much as anything, the Hawks used their overwhelming depth to propel them to a 4-1 series victory over the Tokyo Yakult Swallows in this year’s Japanese Fall Classic. Second baseman Kenji Akashi was one of those players toiling in the shadow of stars like Yuki Yanagita, Lee and Nobuhiro Matsuda, the team’s 3-4-5 hitters. Akashi said he was simply trying to do his part by getting on base. He played his role to perfection, going 7-for-16 in the series. He also homered and drove in three runs and received one of the outstanding player awards after the series. Akashi, who hit second in the lineup, was a near-constant presence on the basepaths, drawing six walks and also being hit by a pitch. He wasn’t the only one setting the tone at the top of the order. Shuhei Fukuda hit leadoff in three of the five games and had at least one hit in four, finishing 5-for-12 with a pair of RBIs and three walks. “It wasn’t just me, our leadoff guys, Fukuda and (Keizo) Kawashima got on base and that kind of got us going,” Akashi mentioned. They created a host of run-scoring opportunities for the big hitters in the middle of the lineup. And Yakult’s pitchers didn’t find much relief at the bottom of the order either. Toru Hosokawa, Kenta Imamiya, Akira Nakamura, Hiroaki Takaya and Yuki Yoshimura all hit seventh, or lower, in the Hawks lineup at some point. They combined to go 12-for-37 (.324) with three home runs and five RBIs in games in which they started in one of the bottom three slots in the order. Those players helped keep innings alive long enough to get back to the top of the lineup. Then it was up to the guys like Fukuda, Kawashima and Akashi to either drive in runs themselves or set the middle of the lineup up for a potentially big inning. From the Swallows’ standpoint, it was almost like the Hawks were coming at them in waves. “They’re a talented organization,” said Yakult reliever Tony Barnette. “Yanagita didn’t have a great series, not to take anything away from him, he’s a great player. But on a great team like that, when someone doesn’t pick it up, another guy does. Their 7-8-9 guys did that. Even the Hawks’ manager, Kimiyasu Kudo, was part of that in a way. 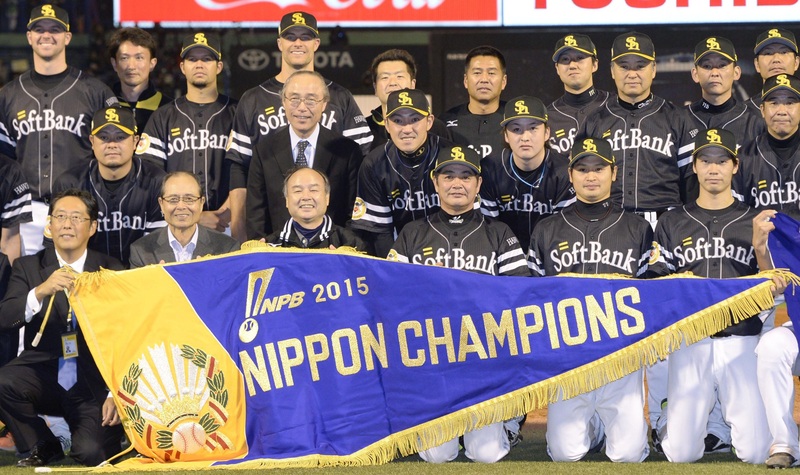 He took the reins when Koji Akiyama stepped down after winning last year’s Japan Series. The untested, Kudo, who had been serving as a commentator for TV Asahi, stepped in and guided the team to the Pacific League pennant and Japan Series crown in his first season. Kudo was the next man up in the dugout during the season, and his players followed that example during the Japan Series.